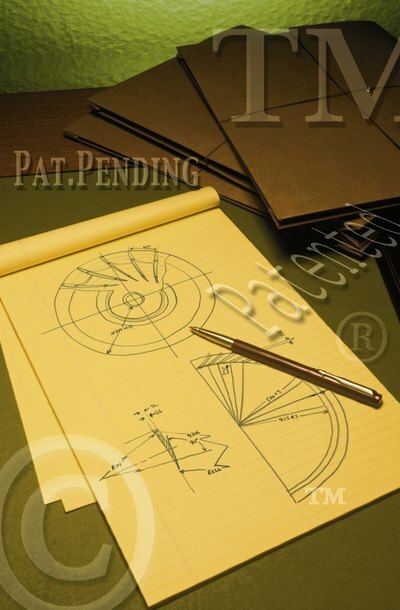 Research the PTO website for any existing patent that may cover your invention or idea. The PTO will not approve your patent application if your idea or invention falls under the description of an existing patent. The patent search utility on the PTO website functions best by searching for key words relevant to your patent. For example, if you invent a new drill bit, you will have to search for related terms such as "drill" and "bit" and other related terms. Prepare a provisional patent application. The PTO website provides PDF forms that you can use to prepare all the key components of the provisional application. In general, you need to include a general description of your idea or invention. The PTO is quite lenient regarding the contents and specificity required in a provisional application. Respond to any requests from the PTO. The PTO may get back to you any time after you file your provisional application, but in general, it will take several months before you get any kind of response. However, once you do receive a response, it is important to provide a quick, thorough, and accurate reply. Remember that you bear the burden of proving to the PTO that you are entitled to patent approval, so it is your job to provide all the supporting evidence and to address all the PTO's concerns. File a final, nonprovisional patent application with the PTO. Unlike the requirements for a provisional application, the requirements for a nonprovisional application are extremely detailed. A complete nonprovisional application must include at least all of the following: information disclosure statement, patent specifications, patent claims, drawings or photographs, and a sworn oath of accuracy.